William & Mary Law grads have been doing particularly well on bar exams across the county this year, with New York City providing a shining example. Professor Christie Warren on her experience as a Fulbright Schuman Fellow. One month after being designated a 2017 Military Friendly® School, William & Mary Law School has been ranked a Top 10 Graduate School for outstanding commitment and programs for veterans and their families. The Virginia Coastal Policy Center recently hosted its fourth annual conference, "Living with the water: Too much, and too little." Professor Patricia Roberts serves as chair of The National Law School Veterans Clinic Consortium (NLSVCC), which was announced on Veterans Day. Roberts is Clinical Professor of Law, Director of Clinical Programs, and Director of the Lewis B. Puller, Jr. Veterans Benefits Clinic at the Law School. Second Lieutenant Austin Swink J.D. '17 talks about his life and his involvement with the Puller Veterans Benefits Clinic Military Mondays program. A modern atrium space for law students called Penny Commons will be a part of the new wing of William & Mary Law School, thanks to a $1 million commitment from Pamela Jordan Penny '77 and James D. Penny J.D. '83. First-year W&M law students touch many lives in the community through the 16th annual Thanksgiving Basket Competition, sponsored by BLSA. Law School named classrooms for Jake '81 and Robin Lutz and the Class of 1975. More than 100 students, faculty, staff and alumni gathered at the Law School on Veterans Day, Nov. 11, for the school’s annual observance honoring the sacrifices and service of the nation’s veterans. Virginia Coastal Policy Center Hosts Dec. 2 Conference, "Living with the Water"
The Virginia Coastal Policy Center at the Law School will host its fourth annual conference on Friday, Dec. 2, at the Williamsburg Lodge in Williamsburg, Virginia. With the theme “Living with the Water: Too Much, and Too Little,” the conference will feature industry and government leaders addressing the pressing issues facing Virginia’s coastal areas now and in the future. A member of the Army National Guard since 2007 who has deployed to Iraq, Barnett recently decided to trade in his helmet and uniform for the chance to earn his law degree at William & Mary. Through a hike of more than 2,000 miles along the Appalachian Trail, a veteran who is now a first-year law student at William & Mary raised more than $4,000 this past summer to support the work of the school’s Puller Veterans Benefits Clinic. On November 8, 2016, the United States Court of Appeals for the D.C. Circuit decided Corrigan v. District of Columbia in favor of Appellant Matthew Corrigan, a client of the William & Mary Appellate and Supreme Court Clinic. Peruvian economist Hernando de Soto has been awarded the 2016 Brigham-Kanner Property Rights Prize. A new book by Professor Evan Criddle and Professor Evan Fox-Decent, “Fiduciaries of Humanity: How International Law Constitutes Authority,” is now available from Oxford University Press. The 2016 McGlothlin Leadership Forum gave law and business students the opportunity to engage with three top leaders in law and business during seminar-style classes and other events during the three-day proceedings on October 25-27. The annual forum, now its sixth year, is the vision of Frances G. and James W. McGlothlin ’62, J.D. ’64, LL.D. ’00. As we approach Veterans Day, the law schools who help veterans on a pro bono basis need just your name in support of their work . . . Help us reach our goal of 500 more names before Veterans Day! William & Mary Law School’s National Trial Team will advance to the national ABA Section of Labor and Employment Law 13th Annual Law Student Trial Advocacy Competition in New Orleans in January after taking top honors at the regional competition held in Washington, D.C., on October 29-30. William & Mary Law School’s National Trial Team took home first place at the Peter James Johnson Memorial National Civil Rights Trial Competition hosted by St. John’s University School of Law in New York on October 20-23. William & Mary faced Houston, last year’s winners, in the final round of the competition. 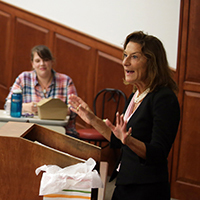 Justice Elizabeth A. McClanahan of the Supreme Court of Virginia recently met and spoke over lunch with students during an October 17 visit to the Law School. In her talk, titled “From My Heart to Yours: Managing the Stress of Law and Life,” she gave law students valuable pointers on how to manage stress in law school and the practice of law. Her visit was made possible by the Law School’s Richard A. Williamson Fellowship Program. If they had to guess, they would say that they probably met each other for the first time in the Law School’s lobby. As they prepare to celebrate their twenty- fifth wedding anniversary, Jeffrey Lowe ’89 and Mary (Maribeth) Baroody Lowe ’91 appreciate the special role Marshall-Wythe has played in their lives. Wythepedia is a project of the Wolf Law Library at the Law School. The sixth annual McGlothlin Leadership Forum will be held Oct. 25-27 at the Law School and the Raymond A. Mason School of Business at William & Mary. Before the Supreme Court convened its 2016-17 term, legal scholars, judges, lawyers and legal journalists came to W&M Law School for the 29th Annual Supreme Court Preview. Governor Terry McAuliffe recently announced the reappointment of William & Mary Chancellor Professor of Law Ronald H. Rosenberg to a second four-year term on the authority. The exhibition “Matilda of Canossa: The Woman Who Changed the Course of History” celebrates the 900th anniversary of the death of Matilda, Countess of Tuscany. It is on view at the Casa Buonarroti in Florence, Italy, from June 14 through October 10, 2016. Professor Grove was one of five outstanding young faculty members honored recently by the William & Mary Alumni Association. Katie Lukish and Seroja Boyakhchian were honored as TowneBank's 2016 Alvin P. Anderson Scholars. Fourteen groups led by faculty comprised William & Mary Law School’s 1L Reading Group Program in fall 2016. Among the books chosen this year by participating faculty for discussion were “The Autobiography of an Execution” by David R. Dow, “Gideon’s Trumpet” by Anthony Lewis, and “Between the World and Me” by Ta-Nehisi Coates. William & Mary Law students recently received two awards from the ABA's Section of Environment, Energy, and Resources. On September, 2,the Law School's Appellate and Supreme Court Clinic filed a Petition for Writ of Certiorari in the Supreme Court of the United States on behalf of Sai, an individual. Sai's petition presents the issue of whether orders denying appointment of counsel in civil cases should be immediately appealable under the collateral order doctrine. Member of the Puller Clinic traveled to Washington, D.C. to discuss the challenges in treating Male Sexual Trauma in the military. Renowned Washington, D.C. attorney Stanley Brand will be teaching a new course -- “The IRS Scandal Over Political Advocacy: Citizens United, Congress and IRS Regulation” to William & Mary law students. Professor Christie Warren is serving as the 2016-17 Fulbright-Schuman Chair at the European University Institute. Prof. Nate Green J.D. '88 received the 2016-17 St. George Tucker Adjunct Professor of Law Award at the Law School's annual kickoff luncheon. This essay originally appeared on the ABA website. ©2016 by the American Bar Association. Reprinted with permission. All rights reserved. This information or any or portion thereof may not be copied or disseminated in any form or by any means or stored in an electronic database or retrieval system without the express written consent of the American Bar Association. The Drapers' Scholarship competition is open to third-year students at William & Mary Law School and William & Mary law alumni who have graduated within the last two years. The Law School recently welcomed the J.D. Class of 2019, the LL.M. Class of 2017, and transfer and visiting students. William & Mary welcomes a new international law scholar and teacher to the faculty: Professor Jay Butler. On August 11, 2016, the United States Court of Appeals for the Sixth Circuit decided in favor of William & Mary Appellate and Supreme Court Clinic clients Mark Crawford, Brendon Reed, and Debra Ornelas, the Plaintiff-Appellees in Crawford v. Geiger, Case Nos. 15-4180 and 15-4181. The Plaintiffs allege that they were unlawfully arrested with excessive force when police escalated a misunderstanding regarding a burglary call into a violent arrest of a family on their own rural Ohio property. Registration is now open for the Oct. 19-21 event. A new law, which took effect on July 1, has raised the minimum age at which young people in Virginia may marry to 18. Professor Nancy Combs and Professor Evan Criddle recently hosted the May workshop at the Law School with colleagues from around the nation. The Virginia Coastal Policy Center at William & Mary Law School and William & Mary’s Virginia Institute of Marine Science have each received funding for projects during the latest round of grants from the Virginia Environmental Endowment (VEE). The grants were among VEE awards of more than $250,000 to 13 organizations. W&M Law alumni S. Douglas Bunch '02, J.D. '06; Anne Leigh Kerr '91, J.D. '98; and Brian P. Woolfolk J.D. '96 have been appointed to the William & Mary Board of Visitors. A loyal and proud alumnus, Doug Brown spends significant time in retirement actively involved with the William & Mary community. Like many alums, Brown feels grateful and happy to give his time and resources to the alma mater that gave him so much. 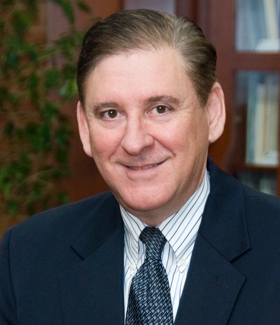 Michael Collett J.D. ’16 received the George Wythe Award at the Law School's Diploma Ceremony on May 15. 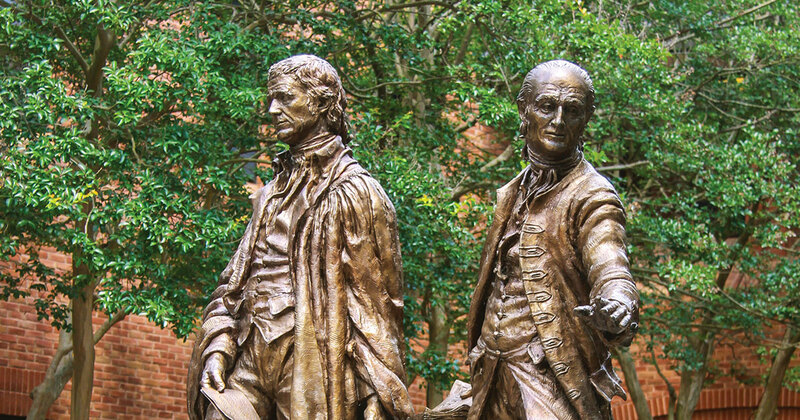 The award is named in honor of George Wythe, William & Mary's and the nation's first professor of law, and is given each year to a graduating student in recognition of his or her outstanding and selfless service. Cameron Ginder J.D. '16 received the I'Anson Award, the highest award given to a graduating student by the Law School faculty, during the Law School's Diploma Ceremony on May 15. The William & Mary Law School Association recognized Maryann Nolan Chong J.D. ’07 as recipient of the Taylor Reveley Award during the Law School's May 15 Diploma Ceremony. The award, the Association's highest recognition, is given annually to a graduate or friend of the Law School who has made "a lifetime commitment to citizenship and leadership." The Law School Association bestows the honor each year to a member of the graduating class who engages in distinguished public service. On Saturday, May 14, the Law School community gathered in Colonial Williamsburg's Kimball Theatre with soon-to-be-graduates, their families, and friends to celebrate the Class of 2016's contributions and achievements. Cassi Fritzius is awarded for her selfless service to the Law School. At graduation, the Class of 2016 celebrated a record 93 percent Class Gift participation rate. The Class of 2016 presented Professor Rebecca Green with the Walter L. Williams, Jr., Memorial Teaching Award at this year's Diploma Ceremony. U.S. Senator Tim Kaine shared what his first clients as a lawyer taught him about empathy, insight and compassion in his address at the Law School's May 15 diploma ceremony. Senator Kaine addressed graduates at the Law School's May 15 Diploma Ceremony. On May 20th and 21st, William & Mary Law School will host the third installment of the Neighborhood Criminal Justice Roundtable. The event will bring together a tremendous group of criminal justice experts from William & Mary and nearby schools. Professor Beth Hopkins of Wake Forest University, a 1977 graduate of the Law School, currently serves as chair of the Constitution and Rules Committee of the United States Tennis Association (USTA), a role she never could have envisioned growing up in Petersburg, Va. Professor Beth Hopkins, a 1977 graduate of the Law School, is retiring from Wake Forest University after more than 30 years in various roles, most recently as the inaugural director of the Smith Anderson Center for Community Outreach at Wake Forest Law. Professor Fredric I. Lederer presented the Tenth George S. Prugh Lecture on May 4 at the Judge Advocate General's Legal Center and School in Charlottesville, Va. Ten classes celebrated milestone reunions from five years to 50 years out and raised $5.8 million in gifts and multi-year pledges to the Law School. The Class of 2016 has the new record in participation for their 3L Class Gift. Runners, walkers, and strollers saw to it that the 12th annual Ali's Run was a great success for the Bone Marrow Drive this year. Mark Cramer J.D. '16 was recently announced as the winner of the Mendes Hershman Award for his paper, "National Security Letters and Corporate Boards." Connor Baer J.D. '16 is the ninth William & Mary Law student in 16 years to win a prestigious Burton Legal Writing Award. Four law professors are among the university faculty members to be honored today for their exemplary achievements in teaching, research, and service. The Right Hon. Beverley McLachlin, Chief Justice of the Supreme Court of Canada, recently delivered the annual Williamson Fellow lecture at the Law School. Katie Chounet and Kaylee Gum, who will graduate from the Law School in May, were among 29 students nationwide from the Class of 2016 to be featured on Tipping the Scales' "Top Law Students" list. Lieutenant Kaylee R. Gum, who will graduate from the Law School in May, will receive the Virginia State Bar's Oliver White Hill Pro Bono Award in June. On April 23, Arbor Day, students from the Virginia Coastal Policy Center, Student Environmental and Animal Law Society, and Black Law Student Association joined the Southeast CARE Coalition for a second year to “Plant the Change” in the Southeast Community of Newport News, VA.
Revive My Vote, a collaboration of the Election Law Program at the Law School and the Williamsburg, Va., Bar Association, has launched a new online learning tool and staffed a hotline to help Virginians learn more about today’s announcement by Governor Terry McAuliffe. On April 18, 2016, William & Mary Law School’s Appellate and Supreme Court Clinic argued the case Corrigan v. District of Columbia in the United States Court of Appeals for the D.C. Circuit. One Tribe One Day is William & Mary’s giving day: a chance to show the world how much alma mater means to us. On April 19, 2016, William & Mary will celebrate our third annual One Tribe One Day – one extraordinary day of giving back and paying it forward. From his home on the West Coast, Goebel works hard at promoting the values and priorities he believes are necessary to build a stronger nation: civic engagement and collaboration. A Q&A with Professor Darian M. Ibrahim on his interest in entrepreneurial law. On March 30, the Law School's Appellate and Supreme Court Clinic argued the case of Henry v. City of Mt. Dora in the United States Court of Appeals for the Eleventh Circuit. Students from the Student Environmental and Animal Law Society (SEALS) are getting outdoors and working on a number of campus sustainability improvements. An accomplished panel of experts in the field of election law recently headlined the Election Law Society's 10th annual symposium. John F. Manning of Harvard Law School recently delivered the annual James Goold Cutler Lecture on "The Living Constitution and the Dead Hand." W&M Law School's and Starbucks' Military Mondays program is being developed by other organizations and schools, and is helping veterans across the country. World-renowned scholars in legal medieval history from the United Kingdom and North America recently participated in a symposium on "Revising, Reissuing, and Reinterpreting Magna Carta in the Middle Ages." Alumnae share expertise with students at William & Mary Law School's Fourth Annual Leadership Conference. April 11, Iran Nuclear Accord: Diplomatic Success or Dangerous Course? William & Mary Law School's Human Security Law Center and the Reves Center for International Studies will present a symposium examining the Iran Nuclear Accord. Admission is free and all are welcome. Five international students joined the Law School's LL.M. program this spring, representing different countries and perspectives. The Lewis B. Puller Jr. Veterans Benefits Clinic won an appeal at the U.S. Court of Appeals for Veterans Claims for a U.S. Navy veteran exposed to Agent Orange while serving in Vietnam. This symposium, hosted by the staff of the William & Mary Bill of Rights Journal, will explore Magna Carta's legacy between its issuance in 1215 and its revival in the seventeenth century. The Center for Legal and Court Technology will test its state-of-the-art technologies March 18 during a lab trial designed to test the effectiveness of remote foreign language interpretation during a full length trial. Peruvian economist Hernando de Soto will receive the 2016 Brigham-Kanner Property Rights Prize at the 13th annual conference sponsored by William & Mary Law School's Property Rights Project in October in The Hague. The Election Law Society and the Election Law Program at William & Mary Law School announce the Tenth Annual Election Law Symposium to take place on Thursday, March 17. Featuring prominent election attorneys, policy analysts, and a current EAC Commissioner, the symposium addresses the topic Fixing the Lists: Data Accuracy and Voting in the 2016 Election. U.S. Senator Tim Kaine of Virginia will deliver the commencement address at the Law School's diploma ceremony on May 15. Law student and 2nd Lieutenant in the Air Force Reserves Kaylee R. Gum is a "Law Student of the Year" for her tireless community service. On February 9, 2016, William & Mary Law School’s Appellate and Supreme Court Clinic filed a Petition for Writ of Certiorari in the Supreme Court of the United States on behalf of Thomas Bowden. The late Professor Emeric Fischer was a leader, recognized by his peers for his dedication to students and cultivating an atmosphere of excellence. William & Mary Law School remains among the top schools for practical training in the law. The 21st Journal of Women and the Law symposium presented an opportunity to understand how politics and the law interplay. This year's spring symposium "And Justice for All: Current Developments in Environmental Studies," focused on increasing awareness of environmental justice issues and delineating legal means of ensuring environmental justice both domestically and abroad. W&M's recent symposium—Judicial Supremacy v. Departmentalism—brought scholars together to focus on the issue of constitutional interpretive authority. The theme of BLSA's annual symposium on race and the law was "Systematic Suppression: Mass Incarceration and Voter Disenfranchisement." William & Mary announced that its Board of Visitors has conferred tenure on Professor Allison Orr Larsen and promoted her from associate professor of law to professor of law. The Puller Clinic's Military Mondays program was recently announced as the popular winner of the ABA's 2016 Brown Select Award. William & Mary students receive hands-on field experience by participating in international internships all over the globe. The Law School and the Special Education Advocacy Clinic (PELE), along with Wrightslaw and the Oklahoma Disability Law Center, hosted the first advanced Institute of Special Education Advocacy Reunion conference on February 13-14 in Gulfport, Fla. Links to news articles and photos from the multiple occasions the justice spoke at the university and at the Law School, information on honors he received from the university and Law School, and comments from law faculty on the justice's life and legacy. Join us at BLSA's annual symposium, which will candidly address two hot-button topics: Mass Incarceration and Voter Disenfranchisement. This symposium sponsored by the Environmental Law and Policy Review and the Virginia Coastal Policy Center will bring together seasoned academics and practitioners to discuss fresh perspectives on the definition of environmental justice; the public health implications of environmental justice; best practices for those currently fighting for environmental justice; and environmental justice in an international context. The Journal's 2016 symposium,"Advancing LGBTQIA Rights in a Post-Obergefell World," will feature panels addressing current issues surrounding LGBTQIA rights, the future direction of the effort to advance LGBTQIA rights, and transgender youth and conversion therapy. How is the discussion framed, and whose values are brought to the fore, when we talk about immigration and access to citizenship in our national debates? Professor Angela Banks shared perspectives informed by her current research on these and other questions at the fall Blackstone Lecture at the Law School. Honoring legal excellence and community involvement, the Virginia Law Foundation has inducted Professor Patricia Roberts into its 2016 Class of Fellows. Third-year student Michael Goldsmith recently won an appeal at the U.S. Court of Appeals for Veterans Claims for a U.S. Air Force veteran exposed to asbestos in service and now suffering from significant health issues as a result. Join us at William & Mary Law Review's annual symposium. This year's topic is "Judicial Supremacy v. Departmentalism." Professor Paul Marcus was selected as president-elect of the Association of American Law Schools on January 9 during the association’s annual meeting in New York. Although their years at the Law School did not overlap, and it may have seemed unlikely that their paths would cross except perhaps at a reunion, Fahimeh Manjili J.D. '15 and Steffanie Garrett J.D. '91 are now colleagues at the Extraordinary Chambers in the Courts of Cambodia. On December 14, the U.S. Court of Appeals for the Fourth Circuit issued a published opinion in U.S. v. Williams in favor of the appellant, represented by William & Mary Law School's Appellate and Supreme Court Clinic. The opinion was a unanimous decision, authored by Judge Robert B. King and joined by Judges Barbara Milano Keenan and Henry F. Floyd. In recent weeks, the American public has been transfixed by the danger of online terrorist speech and calls for religion-based limits on the movement of persons across U.S. territorial borders. In his recently published book, "The Cosmopolitan First Amendment," Professor Zick describes and defends a “cosmopolitan” approach to these and other issues, one that situates First Amendment rights and values in a globalized and digitized world.